If you thought Brett Favre was the troublemaker in his family, think again. A $50,000 fine and a pending lawsuit for sexual harassment are nothing for the 41-year-old NFL quarterback when compared against the troubles of his sister. That’s right, Brett Favre’s sister, Brandi Favre, makes Brett look like a Boy Scout. 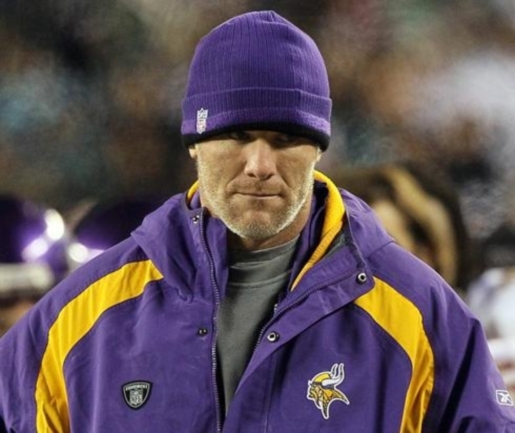 Brett Favre’s sister, Brandi Favre, was arrested after a police raid on a crystal meth lab in Diamondhead, Mississippi. According to Sgt. Abe Long of the Hancock County police, Brandi Favre is one of three people who were arrested after police witnessed a drug buy at a local gas station. Cops followed them back to a condominium development, where a check of the unit yielded an active meth lab hidden in a bathtub. Brandi Favre and the two others were arrested and charged with the manufacturing of methamphetamine and generation of hazardous waste; they were taken to decontamination before being locked up. This isn’t 34-year-old Brandi Favre’s first brush with the law. In 1999, Favre was charged with felony shoplifting after stealing clothing from a Biloxi, Mississippi, department store. She was previously charged with unlawful use of a weapon in connection with a 1996 drive-by shooting at a motel in Slidell, Louisiana.